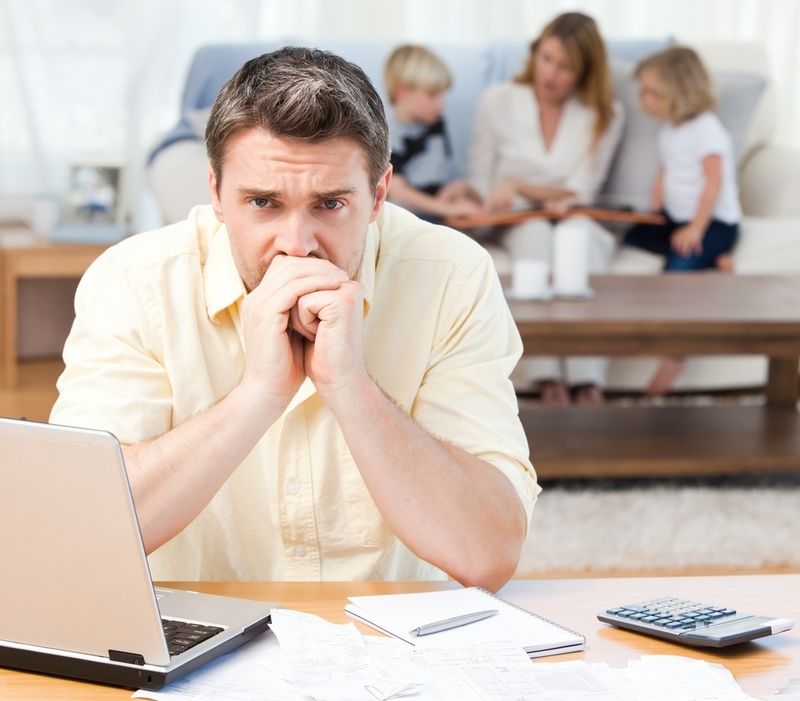 How anxious are you about money and debt worries? Are you dealing with anxiety over money or debts right now? Please know that we can help. Visit our debt and mental health page for advice, client stories and resources to help you stay in control. No matter what we do in our day-to-day lives, most of us have to deal with feeling a little anxious once in a while. Arguments at home, work deadlines, traffic jams and money worries – these are all issues that can cause that niggling feeling in the pit of your stomach. However if you’ve got money worries then that anxious feeling can become a fact of life. Fortunately, no one needs to deal with debt anxiety alone. This year’s Mental Health Awareness Week (12-18 May) is part of a wider effort by our friends at the Mental Health Foundation (MHF) to let people know how to manage anxiety when it gets out of hand. According to the MHF, anxiety is a type of fear associated with the thought of something going wrong in the future, but can also arise from something happening in the present. Worrying over something that could potentially happen can be just as overwhelming as worrying about something happening at this moment – if not more so. Unsurprisingly, when a person contacts us with a debt problem, they are often feeling very anxious indeed. They may have been lying awake at night, fretting about how to tell their partner that money’s tight or what creditors can do if they can’t pay. We wanted to find out once and for all exactly what makes people anxious enough to seek out our help. We also wanted to reassure as many people as possible that we’re here for them, no matter what. Once a month, we send out an email newsletter with handy tips and articles to help people save money and live well for less (you can subscribe to our email newsletter here). Being landed with a bill or unwanted expense that you just have no way of coping with can be immensely stressful. Before they spoke to us, 75% of our DMP clients were dreading this happening. 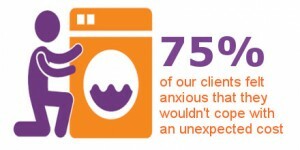 For over half of our clients, having to deal with contact from creditors was a scary prospect indeed. How will they react? What will they say? What can they do to me? Many people we speak to on a daily basis are plagued by worrying questions like this. When it comes to bills, if you can pay on time, there’s less to feel anxious about. For over a third of clients, falling behind on bills was a big worry before speaking to us. I worry about these things too – can you help me? If you’re feeling anxious about money or debt, we’re here to help. For free and confidential debt advice, use our online advice tool Debt Remedy. It can help you put together an action plan for your debts in just 20 minutes. Alternatively, you can speak to one of our friendly Helpline advisors by calling 0800 138 1111 (Free from all landlines and mobiles).